Microsoft Outlook PST File format is the format used by MS Outlook to keep all data items of a mail. 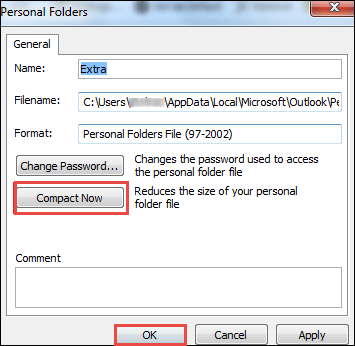 Every user account in Outlook have a separate PST file and have size limit associated with them. However, in Outlook 2003 and below versions PST file format has ANSI file type having 2 GB limit and in Outlook 2007 and all above versions supports Unicode PST file type with 20 GB limit. However, whenever the PST file exceeds its limit, there can be some problems such as Outlook becomes slow or there is a corruption in Outlook data file. Therefore, to avoid such type of problems in MS Outlook, one can split large PST file. Hence, this post provides users different solutions of splitting a PST file into yearly archives. After considering these very frequently asked queries by the users, here the exact purpose of spitting oversized PST file is discussed. Oversized PST File may cause corruption in your Outlook data file due to which a user is not able to access its important stored in Microsoft Outlook. Another important reason behind splitting a large PST file into yearly archives is that large size Outlook data file slow down the performance of Outlook. How to Split Large PST File into Yearly Archives? If a user wants to avoid the problems occurs due to large PST file and to manage the Outlook data files in much better way, then there is a need to split large PST file by year using, therefore, in this segment of the post both manual and alternate solution to split Outlook PST file by year. 1. In an Outlook application, navigate to File tab. 2. 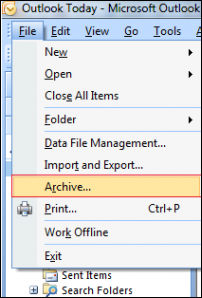 Now, you need to choose the Archive option, under File tab. 3. Now, from the Archive window, choose the Archive this folder and subfolders option. 4. After that, you need to choose the date for Archive items older than: option from the drop down list. It will archive PST files before that date only. 5. In last, select the location where you want to share archive.pst file by clicking on Browse button and after that click on OK button to complete the process. This process will archive your PST file by year but does not reduce the size of PST file. Therefore, there is a need to decrease PST file size. 1. First of all, open MS Outlook application and go to File tab. 2. Now, in the File tab, select the Account Settings option. 3. After that click on Account Settings and after that on Data Files option. 4. 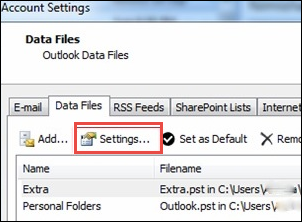 Now, choose the data files that you want to compact and click on Settings. 5. Finally, select the Compact Now button and then click on OK button after completion. 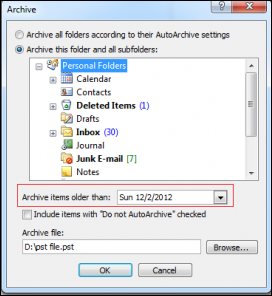 As to split a large PST file by year, there is a manual solution using archive option. However, it has some limitation that a user may face. The major disadvantage of the manual approach is it is quite lengthy to perform two manual to complete the process. A user must have complete technical knowledge of MS Outlook. Moreover, it can also be possible that a user may find this manual very confusing, as it is not a direct method. Therefore, to overcome all such issues, a user can go for a third party solution i.e. Split PST. Another solution to split oversized PST file is with the help of Split PST Tool. It is the software that can directly split a PST file without an extra installation. Moreover, it provides an easy-to-use interface that can easily be used by any user even by a non-technical person also. 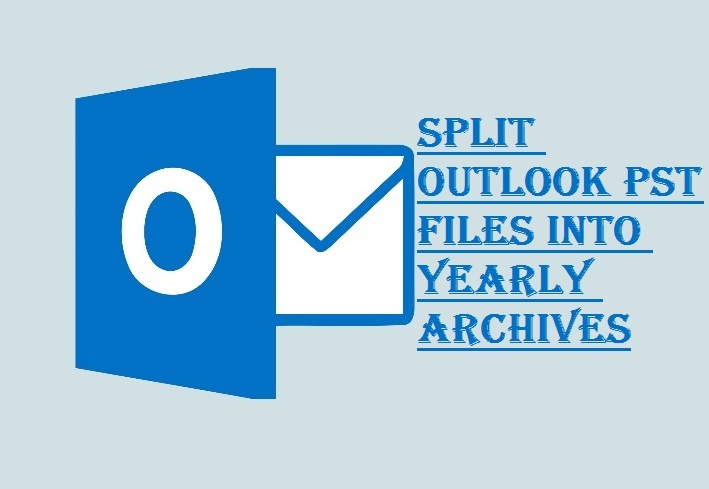 Provide different option to split PST file by year, size, folder and date. Split all data items in PST file such as calendars, contacts also. Supports both ANSI and Unicode PST file type. Considering all the questions asked by the users regarding splitting large PST file, we have discussed the purpose and the different solutions of splitting a PST file into yearly archives. There are two different approaches, one is manual and other is an alternative approach. A user can choose any of them according to their preference. If a user faces any issues in manual solution, then they can go for an effortless solution i.e. Split PST software, as discussed above.